Today on CJAM Flashback from 4:30-5PM, we’re airing a live session and interview from The Gories recorded in 1989 in the CJAM studios. Originally broadcast on the show A to Z, hosted by Sybil Augustine. The Detroit garage trio, The Gories formed in 1986 and at the time of the interview had not yet released their first album House Rockin’. CJAM Flashback is our commemorative program celebrating CJAM’s 30th anniversary on FM radio. Tune in every week for original archival broadcasts and interviews with CJAM past. 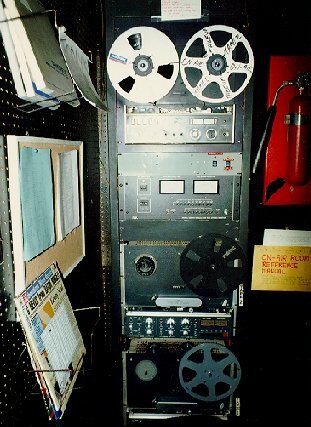 Tune in today to CJAM Flashback, CJAM’s nostalgia show that delves into thirty years of archives, from 4:30-5PM. First up on the show is Sounds of Celluloid, a movie soundtrack program from April 4th 1999 hosted by Len Temelini. The second half of the program is quick music and talk clips from various past programs, dating back to a music countdown show from September 1984. Listen back to original CJAM content and music played! 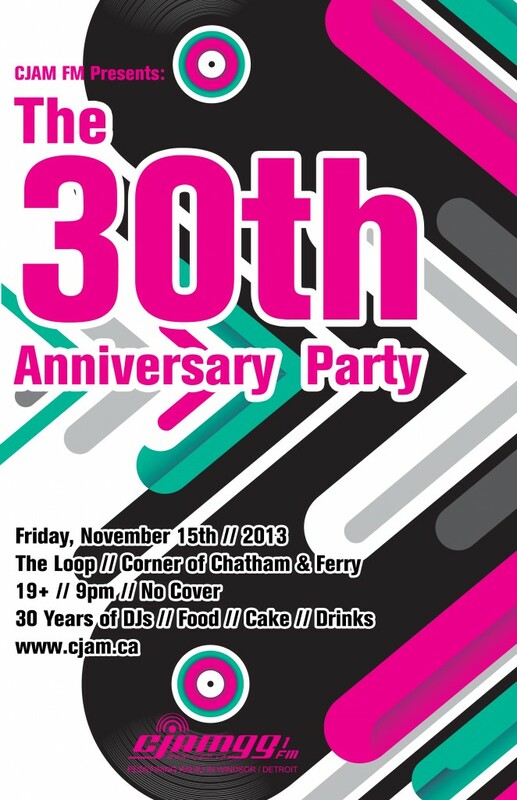 Tune in today from 4:30-5PM for CJAM Flashback, commemorative broadcasting celebrating CJAM’s 30 years on FM. This episode, we’re listening back on the last night at our old frequency of 91.5FM. The night was October 5th 2009 at Phog Lounge in downtown Windsor. We had just wrapped up our Pledge Drive that year. CJAM was in the process of changing from 91.5FM to our current frequency of 99.1FM. The night was hosted by CJAM staff at the time, Adam Fox, Cassandra Caverhill, and Chris White. Throughout this week’s episode, you can hear the original music played during the party and the interviews conducted with CJAM alumni. The show and the night concludes with the last song ever played on 91.5FM. Come celebrate CJAM’s 30th Anniversary on the FM dial every Tuesday afternoon from 4:30-5PM with CJAM Flashback. We dig deep in our archives to bring you sounds from the last three decades and interviews with the people who have made CJAM what it is today. Listen back each week for 30 minutes covering 30 years. Tuesday, October 1st, we dig back to some of our 25th anniversary coverage. When we were making the switch to 99.1FM, we invited former CJAM Program Director Chris Burston to interview former CJAM Station Manager Russ Wolske about the initial switch to FM and early days of the station. Sprinkled into the show is music by Windsor punk royalty, The Spys. 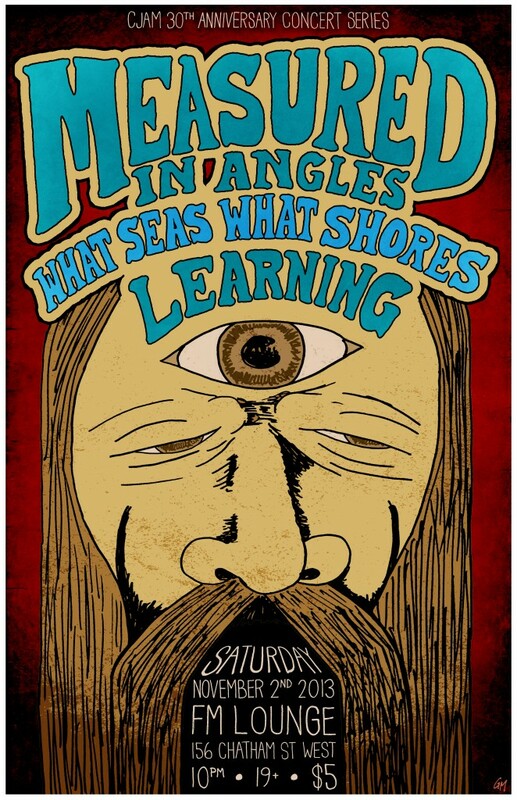 The Contradance Reunion Show is coming up on September 21st at the FM Lounge. Opening performance at from the one and only GUITAR ARMY! Tickets are 10$ in advance & 12$ at the door! Available at CJAM Headquarters and Dr. Disc Records.All proceeds from the night go towards the Annual CJAM Pledge Drive! CONTRA DANCE REUNITES FOR CJAM FM! CJAM’s 30th Anniversary Concert Series kicks off with a reunion show of epic proportions! Legendary Windsor ska act, CONTRA DANCE, reunites for one night only at the FM Lounge! Opening performance at from the one and only GUITAR ARMY! Tickets are 10$ in advance & 12$ at the door! Available at CJAM Headquarters and Dr. Disc Records. All proceeds from the night go towards the Annual CJAM Pledge Drive! CJAM is celebrating 30 years on FM! Check out the playlist from the first broadcast on FM on Nov 14th 1983. For our 30th anniversary, we are putting together some radio documentaries and interviews and we need your help. If you have any audio from your time at the Jammin’ One or if you’d like to sit down and talk about your experience, e-mail Sarah Morris at progcjam@uwindsor.ca!